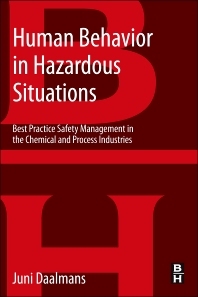 Safety and Loss Prevention Specialists; Industrial Hygienists. Chemical Engineers, Process Engineers, Mechanical Engineers. 2.8 Where in the Brain? 3.4 Where in the Brain? 4.4 Where in the Brain? 5.8 Where in the Brain? 6.3 Where in the Brain and the Body? 7.1 What is a Safety Buddy? 7.2 Who Can Play the Role of Safety Buddy? 7.3 What Competences are Required for a Safety Buddy? 7.4 What are the Activities of a Safety Buddy? 8.1 What Makes a Group of People a Team or a Family? 8.2 How Does Mirroring Work? 8.6 Who Can Play the Role of a Challenger? 8.7 Where in the Brain? 10.3 HR and Safety: Rewarding Safety Behavior?